Chelsea manager, Maurizio Sarri, has insisted Kepa Arrizabalaga remains his number one goalkeeper, after dropping the Spaniard for Chelsea’s 2-0 victory over Tottenham on Wednesday. Sarri drafted Willy Caballero into his starting XI, after Kepa refused to be substituted in the closing stages of their Carabao Cup final defeat to Manchester City. 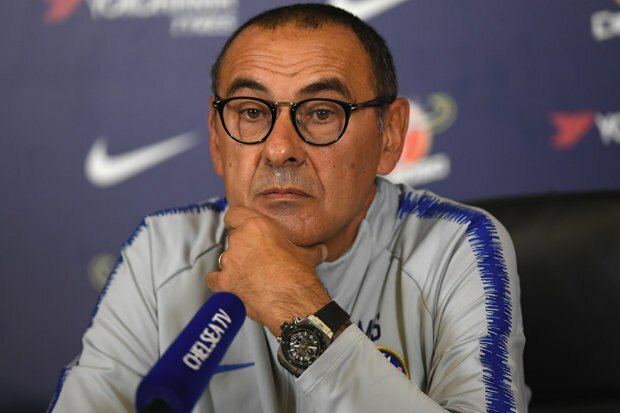 The Italian explained he was trying to send a message to his squad by dropping Kepa. However, asked whether Kepa was still his number one, the Italian told a news conference: “Of course. “I think it was the right decision [to drop him]. Kepa made a big mistake. He paid [a fine] with the club and then he paid [with his position] with the team. “Now I think we have to stop. Kepa will be from tomorrow with us. “I don’t know in the next match if he will be on the pitch or not. But in the next one or two, of course. “We cannot kill him. When you are young you can make mistakes. Chelsea travel to Craven Cottage to take on west London rivals Fulham on Sunday.